Sam and Haley Quaid buried their ten-year-old son and then ended their marriage, all in one week. It wasn’t a volatile divorce, but three years later, except for trading Christmas cards, Sam and Haley have completely lost touch…until a dramatic weather report sets their paths on a collision course once more.Tropical Storm Gladys is heading straight toward coastal Texas, and locals are anxious as they prepare for potential devastation. Haley, a Realtor, has an appointment to show a property and is determined to keep it, but a hurricane isn’t the only looming danger: news reports talk of two prisoners who’ve escaped from a nearby penitentiary only a few miles from the house Haley’s headed for.When Sam’s phone rings with his ex-wife’s number, he immediately remembers the card he gave her when they parted on the courthouse steps. If you ever need me, call and I’ll be there. 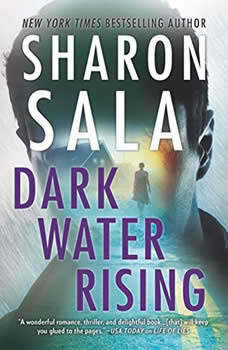 She hasn’t called in three years, and Sam is sure this can mean only one thing: Haley is in danger, and it’s up to him to save her.With her trademark emotional intensity and breakneck pacing, Sharon Sala returns with a harrowing story of danger, loyalty and the lengths we’ll go to protect the people we love most.